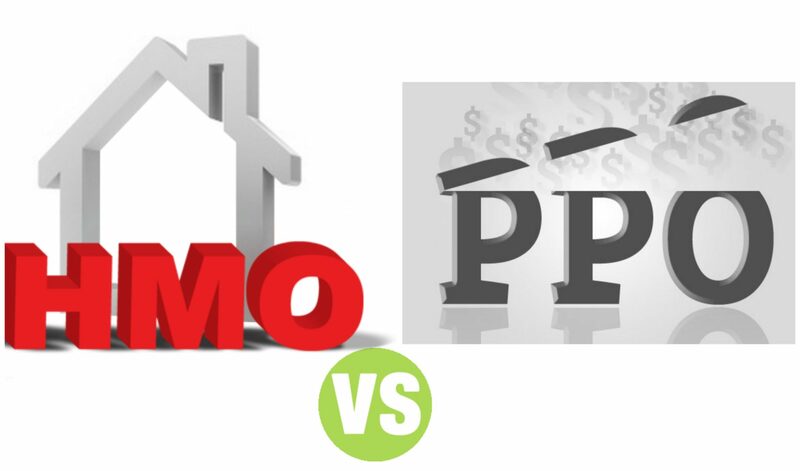 Summary: Difference Between HMO and PPO is that HMO stands for HEALTH MAINTENANCE ORGANIZATION and PPO stands for PREFERRED PROVIDER ORGANIZATION. These are the insurance plans and both offers the similar coverage but there are many differences between them you need to know before selecting the best option for your family. POS is the combination of HMO and PPO. All the plans use a network of physicians, hospitals and other health care professionals to give you the best quality care. The difference between them is only the way you interrelate with those networks. With an HMO plan, you get a collection/network of doctors you are supposed to use but except in emergency cases. The doctors in this network are paid by the insurance companies whether you ever use their facilities or not. It depends on them.HMOs are the least expensive health option for employers and also for the employees.Most average HMO plans do not have a lifetime maximum benefit amount. Some of the HMO offers their members access to an HMO network and a PPO network at the same time. There are four basic types of HMO’s. Staff Model HMOsIn HMO insurance plan the providers are the employees which treat their member’s completely. Group Model HMOsThey provide complete health care services by dealing with one and more than one group members. Network Model HMOs They deal with large number of patients even they are not member of HMO to provide them health care services. Independent Practice Association (IPA) HMOs deal with independent physicians or with organization of physicians to provide their member full health care services. A Preferred Provider Organization (PPO) they provides financial incentives for patients also provides them coverage for services rendered by health care providers who are not part of the PPO network. There Basic preventive care (e.g., checkups, physicals), emergencies, maternity care, surgeries, and treatment from specialists.With a PPO plan, you get access to a network where a fee schedule has been worked out in advance.A PPO is more flexible than an outmoded HMO insurance plan.You don’t need a primary care physician.You can go to any health care professional inside or outside of your network. Staying inside your network means smaller amount and full best coverage. If you choose to go outside your network, you’ll have spent much cost and may be you cannot get the full services. There are two types of PPO plan. Gatekeeper PPO: These PPO plans need members to have a primary doctors like a HMO’s. These doctors can send their patients to other specialist’s doctors not important that those are in the network or outside from the network. At the time medical service, it depends on the patient that he elect to go outside the PPO network or want to stay inside the network. Non-gatekeeper PPO:It is opposite to the gatekeeper PPO plan in which there is no need of primary doctors. In older days, HEALTH MAINTENANCE ORGANIZATION plan was much inexpensive than PPO. But now a days HEALTH MAINTENANCE ORGANIZATION plans have essentially cost extra than PPO plans. But it is still rest on the single plans and mockups under which they can work. Now the customers likes to buy a PPO plan but they also like to have HMO plans. This is the most common reason that satisfy the customers is that one where the insurance organization and the healthcare workers are offered by the same parental company they also provides some healthcare facilities under one slate. This allows HEALTH MAINTENANCE ORGANIZATIONS to coordinate care better between the primary carepatient’s physician and various specialists physician. PPOs plan is not limited it covers both networks either they are in network or out of network. But they like their member or patients to get the care from within the network.The reason is that the care which is taken from the in network members is more than out of network members. They pay extra attention to their in network members which cost them lightly. PPOs always provide more flexible insurance plans to their members, but it much more depends on the single plan. In previous days, now a days HMO’s plan are much more flexible then PPOs plans. The services that are covered by HMOs and PPOs plan are examinations, emergency cases, parenthood care, operations, and treatment from experts. Overall, most physical health conditions will be covered in it. But most of insurance policies do not cover cosmetic surgical treatment, chiropractic services, longstanding therapies and care, weight loss operations for example gastric bypass or acupunctures. Most of the HMOs and PPOs plans cover remedy for drugs, they cover them in different rates and in different methods. PPOs plans allow their member to fill their prescriptions at any pharmacy they want. HMOs have a contract with pharmacies as like they contract with the healthcare worker. HMO membersf ind a local pharmacies that is already linked to their HMO plan to avoid paying the full price for their medicines. HMOs members who live in village areas that may lack an availability of pharmacies.